Over the past few years, the paralegal profession has experienced significant growth and continues to expand. It is currently one of the few employment growth fields in the United States. The U.S. Department of Labor, Bureau of Labor Statistics, forecasts a faster-than-average growth rate of 28 percent through 2018 in the paralegal profession. Paralegals are in huge demand these days. Law firms and legal departments are relying more and more on the services of paralegals to cut down on costs and to increase the availability and efficiency of legal services. Paralegals now perform a wider range of duties, including tasks once routinely handled by attorneys. So in recognition of this boom, the University of Texas at Austin (UT) has launched a new Paralegal Certificate Program. The program will be offered in two formats: in the classroom and online. It will be presented by the Professional Development Center (PDC)â€”a component of Continuing and innovative Education (CIE) at UTâ€”in conjunction with the Institute of Career Development (ICD), a nationally acclaimed provider of paralegal training. The program will focus on giving students the most in-demand skills and education to begin a paralegal career or advance an existing career in the legal profession. It was designed by paralegals, attorneys and judges from across the country and is taught by some of Austin’s most respected and esteemed legal professionals, all members of the State Bar of Texas and approved by the PDC. In this program, students will learn legal processes, court structure, interviewing, investigation, document preparation, file maintenance, correspondence, research, writing and analysis, as well as substantive topics of law, such as torts, contracts and civil procedure. Upon successful completion of the program, students earn a Certificate in Paralegal Studies. Students can complete this program and begin their legal career in just four months. The online courses are also available in Spanish. The Professional Development Center will host three free information sessions on UT’s campus on June 14, July 21 and August 11. These sessions will include program, instructor and registration overviews in addition to a review of available resources for students to help them successfully complete the program. For more information about the sessions, the program, or to register click here. And for additional information about the programâ€”including registration information, classroom or online comparisons, FAQs, and access to an online “test drive,” including downloadable textbook samples, study support tools and mock examsâ€”click here. Established in 1883, the University of Texas at Austin is a public research university located in Austin, Texas. It is recognized as one of the nation’s top 15 research universities and is the flagship institution of The University of Texas System. UT has more than 52,000 students and continuing education enrollment of 300,000 and confers more than 12,000 degrees annually. The university has approximately 24,000 staff and faculty members. 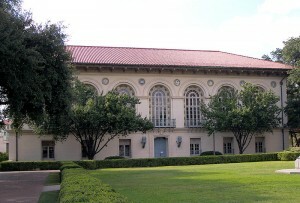 Among UT’s distinguished faculty are recipients of the Nobel Prize, Pulitzer Prize, the Wolf Prize, and the National Medal of Science, as well as a number of other prestigious awards. Get free information about online schools today!